March 2019: Club Jersey Online Store Opening in March! 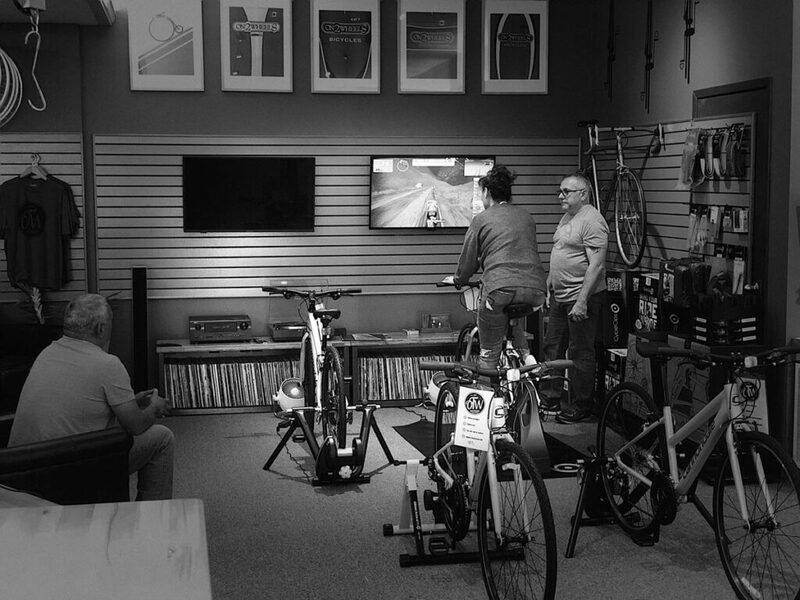 March 23, 2019 / Cascades Cycling Club / Comments Off on March 2019: Club Jersey Online Store Opening in March! This is the new club jersey shown in the color that was selected by more than a 2-1 margin by club members who cast a vote. This is a high visibility shade of green that will really stand out when you are riding on the road or the trail. Check out page 2 for details of this sale. Plan to order if you want to look great on your rides! 5 Jersey styles will be offered for sale this year: 2 Men’s styles, 2 Women’s styles, and a lightweight long-sleeved unisex jersey. The Men’s short-sleeved jersey will be offered in the Tour style (Pro Fit) and the Sport style (Semi-Relaxed Fit). Both styles will only be offered with a 15” zipper. Both the Women’s short-sleeved jersey and the sleeveless jersey will be offered in the Tour style (Pro Fit). The short-sleeved jersey will be offered sizes up to 4 XL, and the sleeveless will be offered in sizes up to 2 XL. Both styles will only be offered with a 15” zipper. The lightweight long-sleeved jersey is the only jersey this year that comes with a full zip. It is a unisex jersey that is light enough for summer use and offers greater UV protection than the short sleeve or sleeveless styles. 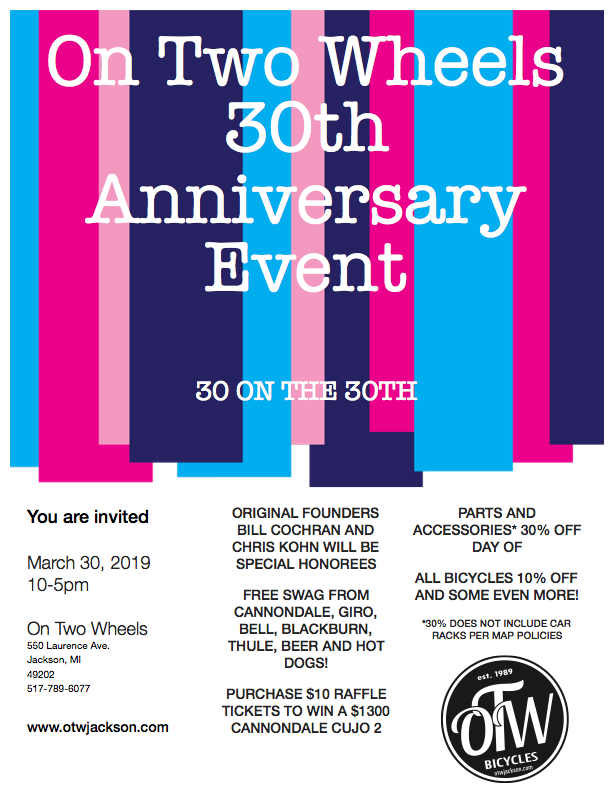 A full Fit Kit will be on display at On Two Wheels, 550 Laurence Ave. in Jackson beginning March 7. Every size of every style jersey will be on display. TO GET THE BEST FIT, MAKE SURE YOU STOP IN AND FIND OUT WHICH SIZE IS BEST FOR BEFORE PLACING YOUR ORDER! Ordering will be a two-step process: In Step 1 the Online Store will be opened and you will be able to go in and order as many jerseys as you like. You will not be charged at this time. We will email you to let you know when the Online Store opens, and tell you how long it will remain open. The Online Store will close after step 1 and Louis Garneau will determine pricing for each style based on the number of units ordered. The more we order, the less it will cost per unit. In Step 2, the store will reopen and you will be able to go in and pay for the jerseys you ordered in step 1. The Online Store will close after Step 2, and our order will be scheduled for production. Current estimates are 4-5 weeks after store closes. THE FIT KIT WILL BE ON DISPLAY AT ON TWO WHEELS FOR 2 WEEKS FROM THURSDAY, MARCH 7 THROUGH THURSDAY MARCH 21. STOP IN DURING BUSINESS HOURS AND ADAM OR PAT WILL BE HAPPY TO HELP YOU FIND THE STYLE AND SIZE THAT FITS YOU BEST. 2018 was a great year for our club. For those of you who are new to the club, or in case you missed this news last year, below are some of the highlights for 2018. We purchased a Stihl hedge trimmer to be used for clearing the Ella Sharp mountain bike trails. For those of you unfamiliar with gas-powered tools, Stihl is a good, reliable brand. After an anonymous donor purchased a new walk-behind brush hog and donated it to the club for clearing the trails at Ella Sharp Park, we purchased a trailer to transport the brush hog. Paid attendance at the Pedal & Whine Bike Tour in 2018 was 390 riders – the largest attendance for an event ride in club history!! A special thank you to all the club members who rode or volunteered to help out in this event! Since our club participates in the League of Michigan Bicyclists “$1 per Rider” program, we sent the LMB a check for $390 – our largest donation to the LMB ever! 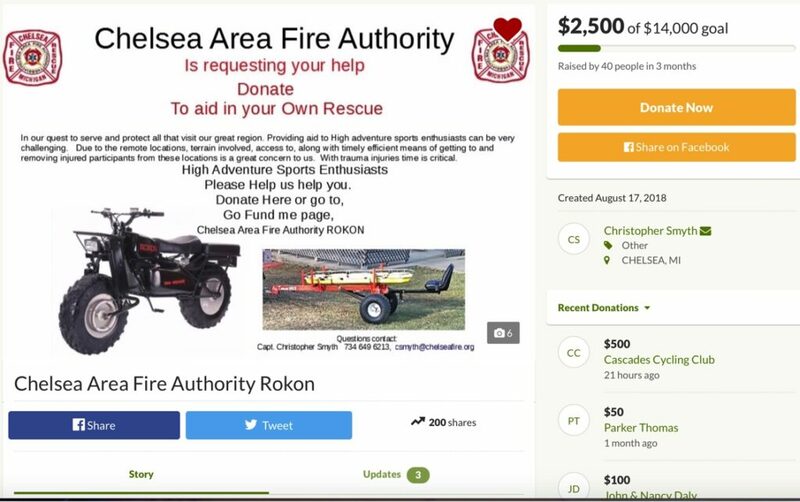 After learning of former president Ruth Riedeman’s crash at DTE in September and the difficulty the Chelsea Fire Authority had in reaching her to transport her to the hospital, we donated $500 to their Go Fund Me page for purchase of a trail rescue vehicle. This was the single biggest donation to their Go Fund Me page at the time, and no doubt helped others decide to help fund this great cause (see next page for more on this topic). In summary, 2018 was a terrific year in our club’s history. With your help and participation 2019 can be even better! Register Now! Roy and Chris Say This is a Great Ride! 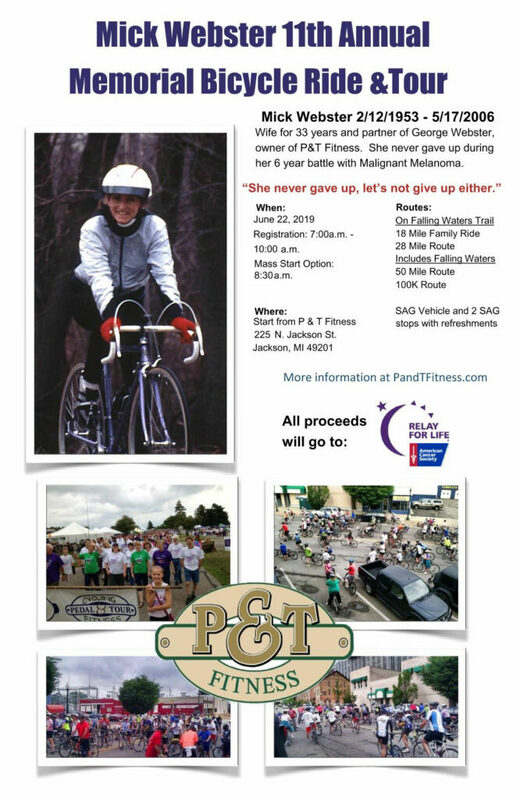 your fellow club members for Jackson County’s biggest ride! Please Help the Club! Send in Your 2019 Dues! Ruth Riedeman has been asked to organize a “Bike Tune Up Day” at Coppernoll Hardware in Grass Lake. This event has been tentatively scheduled for May 11 and Ruth will need some help to make this happen. Please send Ruth a note at RuthinMI@gmail.com and let her know you will be able to come out to Grass Lake and help her out for a couple of hours that day. Sharing your knowledge of how to pump tires, oil chains, adjust brakes and seat height is probably all the skills you will need to help someone to start riding this spring!